Liquefaction is a phenomenon in which the strength and stiffness of a soil is reduced by earthquake shaking or other rapid loading. It occurs in saturated soils, which are subjected to shaking. The shaking results in the soil particles becoming suspended due to an increase in water pressure. The strength of soil decreases during liquefaction resulting in a loss of support to foundations. The recent Canterbury Earthquakes resulted in significant damage to building foundations due to liquefaction and established the importance of estimating the liquefaction potential of the subsoils in order to mitigate the risk of liquefaction induced settlement to building foundations. We use the results obtained from site CPTs, SPTs or Dynamic Probes to assess the potential for liquefaction of the soils at the subject site. 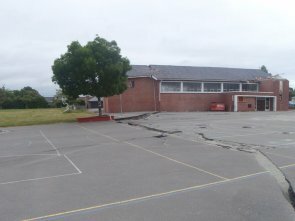 Using New Zealand and international standards, the latest DBH guidelines for repairing houses damaged by the Canterbury earthquakes and state-of-the-art computer software, we are able to estimate potential settlement and lateral spreading due to earthquake induced liquefaction. We use the computer program CLiq, which was developed by Prof. Peter Robertson and is considered to be one of the most up-to-date software available for assessing liquefaction. If you require a liquefaction assessment report or you would like further information, please contact us.